crusher-X - it's your sounddesign! crusher-X - it's your sound design! Granular synthesis revolutionized Sound Design, Electronic and Experimental Music. 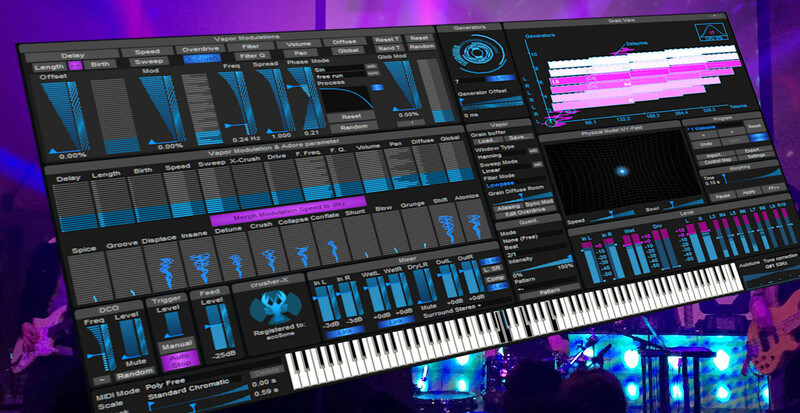 crusher-X does advanced granular synthesis on your live input in real-time! Its powerful algorithm creates very complex sounds, drones and outstanding surround effects. The crusher-X trademark is known since 1999 as "the" granular effect standard. crusher-X is used by famous sound-designers, composers, musicians and film-makers all over the world.